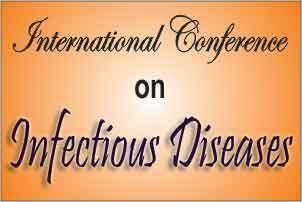 New Delhi: India will for the first time host the International Congress on Infectious Diseases (ICID), which aims to discuss a slew of infections-related healthcare challenges relevant to the country and growing in importance globally. The four-day conference, starting from March 2 in Hyderabad, will see the participation of over 2,000 clinicians, microbiologists, bio-medical scientist and public health specialists from all over the world. The conference, which will be the seventh edition, is being organised by the International Society for Infectious Diseases (ISID) in collaboration with the Public Health Foundation of India (PHFI), Indian Council of Medical Research (ICMR) and the Department of Biotechnology. “The meeting will provide an outstanding opportunity for colleagues from around the world to share their experience and learn from our internationally respected faculty,” said Jonathan Cohen, president of the International Society for Infectious Diseases. “Given the continued importance of threats including antibiotic resistance, malaria and more recently, Ebola and Zika viruses, the event underscores the continued importance of infectious diseases in India,” said Laxminarayan, who is also chairing the conference organising committee.